Meet Stephen Phillips, Heritage Conservancy’s Chairman of the Board! Stephen served as Vice Chair of Heritage Conservancy’s Board of Directors before being nominated as Chairman at the end of 2018, and he is certainly no stranger to leading the charge on preservation. He (along with the board of supervisors for Solebury Township) was the founder of the Solebury Township Land Preservation Program, which has preserved nearly 40% of the Township’s land! “We worked with several conservation groups, including Heritage Conservancy, to accomplish that,” says Stephen. 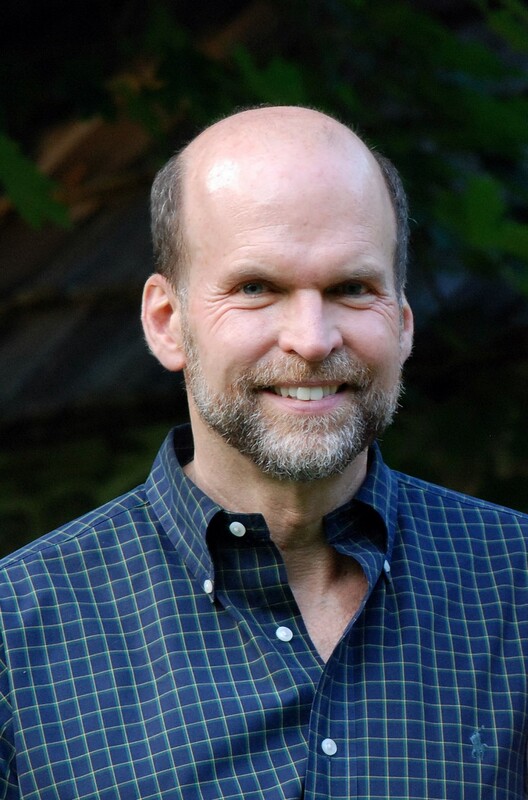 He has held membership and leadership roles in multiple organizations such as the Solebury Environmental Council, the Aquetong Watershed Association, Bowman’s Hill Wildflower Preserve, and the Solebury Township Farm Committee. With such dedication to his community and the environment, Stephen is an excellent fit for this important role on Heritage Conservancy’s Board of Directors! We chatted with the Chairman to hear more about his life in Bucks County and his passion for protecting its special places and resources. To introduce yourself, could you tell us a bit about your educational and professional background? Stephen Phillips: I earned my MBA in Marketing and Strategic planning from Temple University, and my BA in English Literature from Drew University. My business background spans a 35-year career in the information industry. I served as President and CEO of Signature Information Solutions LLC, a joint venture between Lexis-Nexis (the world’s largest legal information company) and First American Corp. I also served for more than 10 years as president and CEO of Charles Jones, LLC, which provides a range of information searches and services for real estate transactions; and CEO of Superior Information Services, LLC, which was the leading supplier of public record information in the Mid-Atlantic region and is now part of Lexis-Nexis. How long have you been living in Bucks County, and what drew you here? Stephen: I was born in Wrightstown Township, and–other than being away at college–I’ve lived in Bucks County my whole life. I’m now a 45-year resident of Solebury Township. I live with my wife, Candace, at Cradle Valley Farm, which is on the National Historic Register and part of the 1200-acre Aquetong Preserve of continuously preserved land. Stephen: I love to ski, mostly in Colorado, and I enjoy sailing, kayaking, running, and traveling in the U.S. and abroad. How has your appreciation of our area’s natural and historic treasures grown over the years? Stephen: My family had a small horse farm next to what is now Tyler State Park, so my early childhood was spent riding horses through Mrs. Tyler’s farm. From these early experiences, I learned to appreciate the value of open space. Mrs. Tyler’s 2500-acre farm could have been developed into a large subdivision, but instead she chose to donate the land to preservation as a public-access park so everyone could appreciate it. People are now riding the same horse trails that my sisters and I made in the 1950s and ‘60s. Another source of preservation inspiration is my wife’s father, Donald Jones. He was president of the New Jersey Conservation Foundation and a member of D&R Greenway and was committed to helping preserve land in New Jersey. We know you value both, but do your interests veer more toward historic preservation or open space conservation? Stephen: Probably land preservation first, since it all starts there. I believe that preserving land in perpetuity is one of the most lasting things we can do in our lifetime. But, history and conservation go hand in hand, as there are a lot of historic structures located in areas of land that we’ve preserved. I myself have helped restore two historic residences, both 18th-century Bucks County stone houses. One is the Samuel Armitage house (he was the owner of grist mills along Cuttalossa Road), and the other is Henry Paxson Farm on Meetinghouse Road (part of Aquetong Preserve, a 1400-acre preserve over Aquetong Valley) in Solebury Township. I worked with historic architect John Milner to restore these old properties. What made you want to become Chairman of the Board, and what are you hoping to accomplish in this role? Stephen: Two former chairmen, Marv Woodall and Chris Chandor, encouraged me to step into the role. They recognized that I have a strong background for it. Having served on various farm committees, environmental commissions, and nonprofits, I decided it was time to step up and take my turn. It’s my hope that we can get the younger generation more involved. Preserving land is all about future generations and protecting the planet. It’s important that we find ways to attract young members and volunteers, even encouraging them to be on committees. We are so appreciative of the dedication of time and expertise that Stephen has put into strengthening our organization and community, and we look forward to even more successes with him as our Chairman in the future!